The inspiration for Sur Club came from Don Phillips’ travel to some of the nation’s most energetic and exciting resorts with his family. The PDR team has worked tirelessly to bring to light the vision Mr. Phillips has had for this 296-unit, mixed-use development. 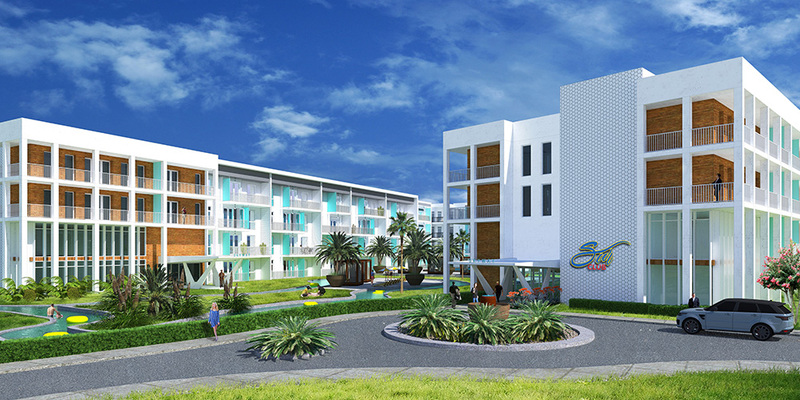 Residents and guests will feel like they are living in a resort and upon completion will have the affordability to live just a short drive from Florida Gulf beaches, downtown St. Petersburg, and the attractions of Tampa. Two restaurant out-parcels are slated to anchor the development with neighboring volleyball courts and a lazy river. This is a truly one-of-a kind property. Coming 2019!